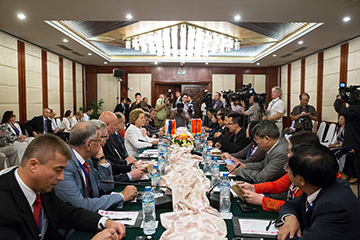 A delegation of Russian senators led by Federation Council chairwoman Valentina Ivanovna Matvienko visited Laos and China on September 19-23 in a tour launched in the framework of Moscow's intensifying multifaceted dialog with Asian partners. Asia Pacific naturally ranks high on the list of Russian foreign-policy priorities as a region with a solid reputation of a global economic powerhouse and, increasingly, an epicenter of the world's political decision-making. From a wider perspective, it is fair to say that the concert of Asia Pacific countries contributes crucially to the rise of the revamped, polycentric world architecture. Russia's ties with the region are rooted in history, and the Soviet Union's backing is known to have been a key factor behind the triumph of national-liberation movements in several Asian countries. As of today, Moscow steers an unwavering course towards greater engagement with East Asia and maximal involvement in the integration dynamics across the region, the interactions on the legislative level – such as the Russian senators' recent visit to Laos and China – being an indispensable part of the diligently pursued Russian agenda. In both countries, the Russian visit translated into a sequence of serious, mutually beneficial discussions. The arrival of the Russian senators to Vientiane, Laos, was synchronized with the city's hosting the 35th General Assembly of the ASEAN Inter-parliamentary Association (AIPA), an international organization facilitating continuous communication among member-countries on a broad range of economic, political, social, and humanitarian issues. The 35th AIPA meeting convened to discuss prospects for tighter collaboration in putting into practice the ambitious blueprint for the ASEAN Economic Community which is to come into being in 2015 with the motto "One Vision, One Identity, One Community". 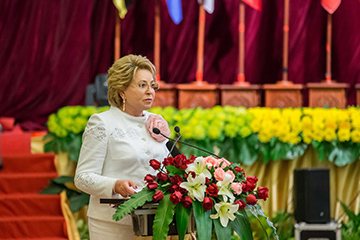 In an address to the forum, Russian delegation leader V. Matvienko praised the initiative aimed at forming unified humanitarian space over the entire South East Asia and expressed confidence that the fundamental objective of instituting the ASEAN common market would be accomplished in the foreseeable future. She stressed that the tendency to set up free trade zones with Asia Pacific peers highlights the ASEAN determination to deepen its various partnerships, and that Russia, abiding by a consonant policy, intends to strengthen its ties with the ASEAN countries in both bilateral and multilateral formats. It should be noted as well that the Assembly audience showed keen interest in Russia's proposals concerning the regional security arrangements, as V. Matvienko suggested a collective security framework – a regional regulatory “safety net” for Asia Pacific - to avert potential threats. In fact, a trio comprising Russia, China, and Brunei had formulated a completely specific approach to the problem, igniting multilateral discussions on the subject under the umbrella of the East Asia Summit. V. Matvienko said that it would be optimal to have the debates propped up by the legislatures of the countries involved, the ultimate goal being to sign a legally binding document to define the principles of the relations in the region. A series of bilateral talks were held at the sidelines of the Assembly. V. Matvienko made it clear in a conversation with Vietnam's National Assembly chairwoman Tòng Thị Phóng that Moscow sees the country as a reliable and time-tested partner. She expressed satisfaction with the current state of the dialog between the Russian and Vietnamese legislatures and spelled out the benefits of forging direct regional-level links between the two countries. Mrs. Phóng said in response that cooperation with Russia is a priority sphere for Vietnam and that the National Assembly of the republic would make consistent efforts to step up the strategic partnership with Moscow. The current transactions between Russia and Singapore were assessed positively during the talks between the delegations of the two countries. According to speaker of the Singapore parliament Halimah binte Yacob, their relations are steadily gaining momentum. V. Matvienko welcomed the interest of Singapore in close cooperation with Russia and, in particular, mentioned the country's considerable role in the construction of infrastructures for the Sochi Winter Olympics. 'We count on Singapore's investments in the projects centered around the modernization of the Russian Far East and generally expect the cooperation between Russia and Singapore in the investment sphere to gather pace,' said V. Matvienko. In a reply statement, Mrs. Yacob underscored the impressive results brought about by her last year's visit to Russia. She welcomed the Russian participation in the 35th session of the ASEAN Inter-Parliamentary Assembly and credited the observer countries, including Russia, with an appreciable role in shaping the interpaliamentary debate of key regional issues. In Laos, V. Matvienko met with the country's president, Lao People's Revolutionary Party General Secretary Choummaly Sayasone who spoke of Russia cordially and articulated openness to wider cooperation with it. 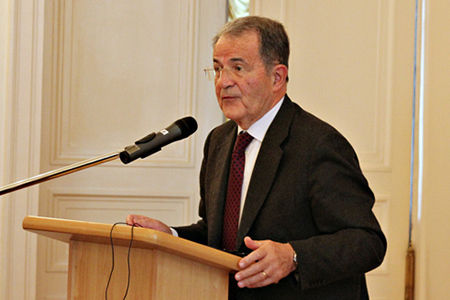 'Respect for Russia in the international arena is growing day by day, and Laos both shares the Russian position on Ukraine and applauds Moscow's resolute reaction to the West's sanctions,' said Choummaly Sayasone. V. Matvienko gratefully acknowledged the stance taken by Laos on the Ukrainian crisis and other pressing international problems. Coordination between Russia and Laos in international politics and the formulation of common approaches at the face of threats such as terrorism, drug trafficking, and WMD proliferation were at the focus of the talks between Russia and Laos. Reviewing the economic aspect of the bilateral relations, the parties agreed that ample untapped potential – particularly, in mineral resources exploration and extraction, hydro-power generation, aircraft building, and the pharmaceutical industry – exists and should be put to work to energize business interactions between Russia and Laos. Following the visit to Laos, the Russian delegation traveled to China, the background behind the visit being that 2014 is the 65th anniversary of the establishment of the Russian-Chinese diplomatic relations. Hong Kong, China's Special Administrative Region renown as a global financial center, was the first destination in the course of the official tour. Talks with Hong Kong Executive Council chief Leung Chun-ying and Legislative Council president Jasper Tsang Yok-sing revolved around the economic opportunities to be pursued jointly, mainly in the hi-tech sector, various walks of the innovative economy, investments and finance, as well as around the possibility of Hong Kong's partaking in the creation of an international financial center in Moscow. V. Matvienko drew the attention of her vis-a-vis to the current upward trends in the business activity playing out between Russia and Hong Kong, as the trade volume tripled over the recent years and passed the $3b mark in 2013. The tourist inflow from Russia to Hong Kong also intensified, considering that over 200,000 Russians – 11% more than in 2012 - vacationed in the country in 2013. 'Aware of the district's standing in the realms of finance and service-oriented economy, scores of Russian companies already maintain offices in Hong Kong,' remarked V. Matvienko. The conversation touched upon the interwoven themes of the development of the smart services market and of the intellectual property protection, with V. Matvienko explaining that the upper chamber of the Russian legislature takes a great interest in the legislative component of the experience Hong Kong commands in this regard. V. Matvienko's Hong Kong negotiating partners reaffirmed their support for stronger business ties with Russia and, in the context, demonstrated heightened attention to the program adopted by Moscow to boost the development of Russia's East Siberia and the Far East. A significant agreement was reached to lay additional touches on the legal and contractual groundwork for the cooperation between Russia and Hong Kong. A list of solutions for more vigorous economic cooperation was also on the table when the Russian Senate's talks continued in Guangzhou, the capital of the Guangdong province which is famed as a front runner of China's economic development. China undisputedly being the driver of the economic progress of Asia as a whole, Guangdong can be thought of as a conveyor at the heart of a huge manufacturing zone. 'Our visit to Guangdong, China's most populous region with top economic output, was largely prompted by unsurpassed prospects for joint projects to be implemented here,' said V. Matvienko at a meet-up with the province's business captains, but added that the present-day level of economic interchanges fell short of what could be reasonably expected. The Russian Senate's chairwoman cited the far-reaching plan unveiled by the Russian and Chinese leaders – to lift the volume of trade between the two countries to $100b by 2015 and to $200b by 2020 – and asserted that the target figures would be within the bounds of doable. 'We hope the turnover will climb above $90b already this year,' projected V. Matvienko, 'but sleeves must be rolled up in the regions – in Russia's federation subjects and in the Chinese provinces – for the plan to materialize.' V. Matvienko invited Russian and Guangdong business circles to network actively with the objectives in mind. Specifically, V. Matvienko urged Russia's Chinese partners to eye the mission of getting the trade volume with Russia to increase by a factor of 5-6 by 2020, but argued that a structural diversification of the trade turnover, considerable synergy in the high-tech sector, and the floating of a series of ventures marketing high added-value products in third-party countries should be considered as goals integral to the plan. In V. Matvienko's view, sectors such as innovations, energy, infrastructure construction, machine building, and natural resources development are the ones holding the biggest promise. The outline proposed by V. Matvienko to the business community further included spurring joint technoparks, industrial clusters, and business incubators in Russia and China, a Russian-Chinese technopark already online in the Guangdong province providing an inspiring example in the context. V. Matvienko reiterated that direct dialog between Russian and Chinese business circles – economic forums, exhibitions, and presentations – combined with the input from established organizations like industry-and-commerce chambers and sectoral associations should be the avenue for the necessary communication. Guangdong province Communist Party Secretary Hu Chunhua who presided over the meeting with the Russian delegation said that ties with Russia play an important part in the region's economy and subscribed to the assessment that the available potential stays underused due to the lack of direct business-to-business interfacing. 'We are prepared to power up our cooperation with Russia and will assist in intensifying investments,' pledged Hu Chunhua. At the concluding phase of the tour, the delegation from the Russian Federation Council visited Beijing to be received by Chinese president Xi Jinping, premier Li Keqiang, and chairman of the Standing Committee of the National People's Congress Jhang Dejiang. Throughout the negotiations, consensus converged on the fact that, at the moment, the Russian-Chinese alignment had reached an unprecedented level. It says volumes that the leaders of the two countries have met four times this year, and the Russian-Chinese portfolio of cooperation agreements counts around 50 basic documents, one of them sealing the hallmark long-term deal to supply natural gas from Russia to China. Over 60 Federal subjects of Russia engage directly with Chinese provinces, plus a cooperation program, in effect till 2018 and embracing Siberia and the Far East, on the one hand, and China's North-East, on the other, has been penned on the leadership level. The scope of the Russian-Chinese partnership is extremely wide and constantly acquires new dimensions, while the two countries' accord in international affairs – manifest in the UN, G20, the Shanghai Cooperation Organization, and BRICS – clearly serves as a pillar of global stability. V. Matvienko stated at the closing media conference during the tour that building up strategic partnership with China ranks among Russia's top foreign-policy priorities. She characterized the tour and the talks as a big success and reiterated China's special status of the number one trade partner of Russia, noting that major Russian-Chinese projects in energy as well as in high-tech areas – the aerospace industry, nuclear power, etc - are being set in motion, and that 'the years of youth exchanges' scheduled till 2015 attracted increasing interest. V. Matvienko suggested that the cooperation format already tested by the Volga Federal District and the middle Yangtze province deserves to be adopted by other regions of Russia and China. The energy sector was singled out as the key priority of the bilateral economic agenda, the Power of Siberia gas pipeline project which is to open direct access to the Chinese energy market standing out as an initiative with extraordinary prospects. A question about the Ukrainian crisis predictably popped up as the media event unfolded. 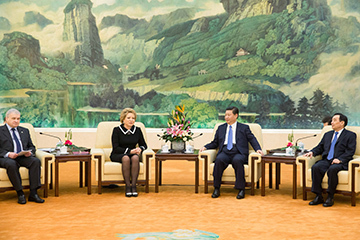 V. Matvienko thanked China for characterizing the developments in Ukraine adequately and with full objectivity. She reminded the audience that China had repeatedly condemned the sanctions against Russia for their being inadmissible, illegitimate, and counterproductive. China, like Russia, is convinced that the sanctions reflect an attempt to pressure a sovereign country into departing from its independent position and to weaken Russia internationally. V. Matvienko emphasized sharing president Xi Jinping's belief that the cooperation between Russia and China is essentially strategic, stems from the fundamental interests of the two nations, is immune to minute political ambitions and fluctuations, and therefore will continue into the future. 'We appreciate the Chinese leader's speaking on the issue,' said V. Matvienko, quoting present Xi Jinping as saying that 'China will never support sanctions against Russia, no matter how much pressure is exerted on it'. 'The political creed shared by Russia and China is sustainable, manageable development, international dialog conducted by equal partners, a strong system of global security, and absolute respect for the international law coupled to the centrality of the UN in world affairs. Russia and China consistently advocate a carefully balanced, multipolar world architecture and reject reliance of force as a method of achieving political or other goals as well as interference in the affairs of sovereign countries. Jointly, we are en rote to ever more impressive achievements, but we should act together as life itself – our socioeconomic, political, and cultural priorities, on the one hand, and the current global configuration, on the other – dictate to Russia and China the imperative of making united efforts to safeguard their national interests, to protect peace, and to reinforce the international security. Next year, we will celebrate the 70th anniversary of our victory in World War II. Important across the global community, the anniversary strikes a special chord with the peoples of our two countries. The Soviet Union and China had to face the fiercest attacks waged by the German fascists and Japanese militarists, endured unprecedented hardships, and ultimately made the crucial contribution to the great victory. The defeat of the fascist Germany and the militaristic Japan paved the way for the establishment of the People's Republic of China, an event of worldwide historical significance the 65th anniversary of which we will celebrate widely this year. 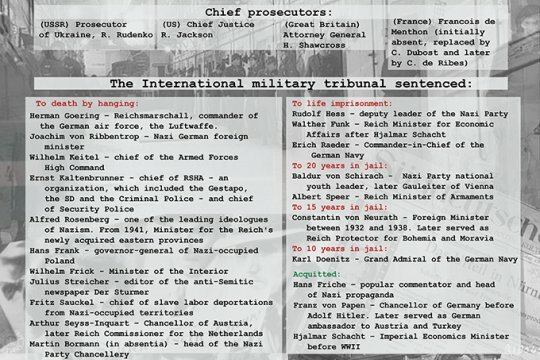 These days, attempts are made in the West to rewrite and to distort history, to eulogize fascists and collaborationists, and to smear the real winners. Under the circumstances, it is absolutely necessary to oppose the destructive tendencies and to prevent any revisions of the outcome of World War II. It is desirable that people belonging to younger generations take part en masse in the commemorations, those being an initiative undertaken in the name of the future of our countries no less than as a tribute to the winners and the historical truth. Today's students are tomorrow's political leaders, and their ability to take the helm is contingent upon their knowledge and understanding of the past, since those are the prerequisites for an objective analysis of the present and for in-depth foresight”. "We are preparing the world's elite!" Chairman of the Federation Council of the Russian Federation Valentina Matviyenko: "The 21st Session of the APPF is a big step forward"
552: 30 seconds to mars. Russia and Asian Countries: an Imperative of Cooperation6 October 2014: Russia and Asian Countries: an Imperative of Cooperation! лучшие комедии. Russia and Asian Countries: an Imperative of Cooperation.